Over 5 million Americans, nearly 90% of them women, currently live with episodes of disabling pain. Many choose to take one of the myriad of designer pain medications that have recently flooded the market. These drugs have familiar names as their makers have bombarded us with advertising. Some of those in pain experience relief, but many don't, and worse case scenarios do occur where suicidal depression and anxiety attacks are the price paid for tenuous pain relief. There are no "free rides," in the pharmaceutical world, and all synthetic medications come with potential side-effects. Many people are forced to put their lives on hold as they "take it easy," and wait for these episodes to pass. This disheartening picture is the story of fibromyalgia. The symptoms are broad and intense. People with fibromyalgia often experience cognitive and memory problems (sometimes referred to as “fibro fog,”) sleep disturbances, morning stiffness, headaches, irritable bowel syndrome, painful menstrual periods, numbness or tingling of the extremities, restless legs syndrome, temperature sensitivity, and sensitivity to loud noises or bright lights. Most of us experience at least some of these symptoms at one time or another but when a person experiences a significant number of these symptoms along with widespread pain in 18 specific places across the four quadrants of their body- they have met the criteria for the diagnosis of fibromyalgia according to the American College of Rheumatology. No one knows for sure why people get fibromyalgia. One theory is that mitochondria, the parts of our cells that create energy are not functioning correctly. Some researchers believe that repeated nerve signals cause the brains of fibromyalgia sufferers to change, which in turn triggers an abnormal increase in certain neurotransmitters. Fibromyalgia patients are thought to have a heightened "pain memory," resulting in intense sensitivity to pain. Emotional pain and trauma are also linked to fibromyalgia and stressful events can cause flares. Additionally, certain illnesses and infections appear to trigger or exacerbate fibromyalgia. There also appears to be a genetic link. As a massage therapist I am frequently approached by fibromyalgia patients who want to know if massage can bring them relief. Will it bring an immediate, opiate-like blissful relief? Probably not. Will it help you and bring degrees of relief over time? Absolutely. It is not recommended that patients get massages while experiencing a flare, but the rest of the time it is safe and very helpful. The most constant advice doctors give for fibromyalgia patients is to increase exercise and to try to relax more. Massage stimulates your muscles, including your heart providing a boost for your circulatory and lymphatic system- in essence, exercise. 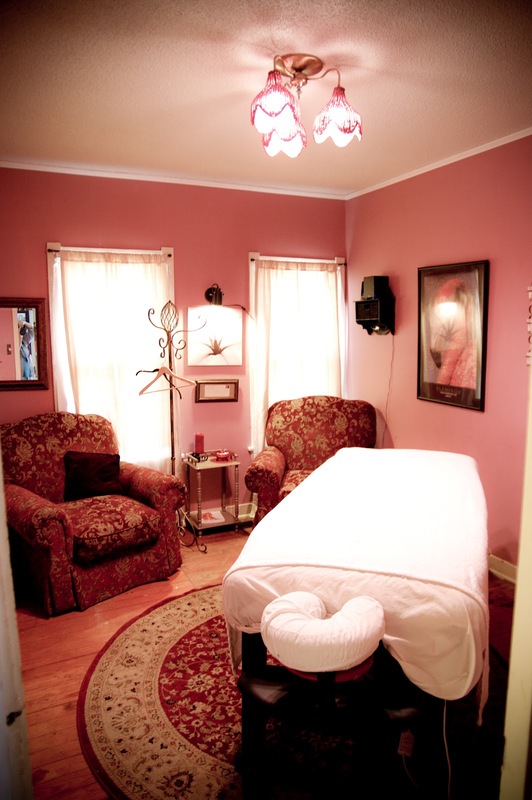 Your massage therapist is exercising your muscles and increasing the circulation through your heart while you do what? Rest and relax. The best of both worlds. The Manual Therapy Benefits Fibromyalgia Patients. This study involved two groups of patients, one of whom received 5 massage sessions. The group that received the sessions reported decreased pain intensity, decreased wide spread pain sensitivity, less symptoms in general with better quality of sleep and less depression. Gender differences were observed in response to treatment: women and men get similar improvements in quality of sleep and the number of areas they experienced pain, whereas women showed a greater reduction in pain and impact of symptoms than men, but men reported higher decreases in depressive symptoms and pressure hypersensitivity than women. (Published in the Clinical Journal of Pain and was conducted by investigators with the Department of Nursing, Physical Therapy and Medicine, Universidad de Almeria, Spain †Department of Physical Therapy, Universidad de Granada, Spain ‡Servicio Andaluz de Salud. Family Medicine Specialist. Granada. Spain Department of Physical Therapy, Occupational Therapy, Rehabilitation and Physical Medicine, Universidad Rey Juan Carlos, Alcorcón, Madrid, Spain, and Esthesiology Laboratory of Universidad Rey Juan Carlos, Alcorcón, Spain. 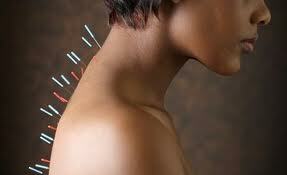 Massage can be a valuable aspect of a comprehensive plan to manage your fibromyalgia. What Are the Benefits of Using an Infrared Sauna? Infrared sauna offer many benefits. Why should you use one? Pain Relief- The heat from an infrared sauna penetrates joints, muscles, and tissue to increase circulation and speed oxygenation of the body. Sports injuries, fibromyalgia, chronic fatigue syndrome and arthritis can all be helped. There are studies from NASA, The Department of Dermatology and Institute of Medical Research, and many other legitimate well documented sources. A recent Japanese study that was published in the journal, Internal Medicine showed that chronic pain sufferers experienced significant pain reduction (70%) after just one session. Weight loss- A thirty minute session in an infrared sauna burns about 600 calories. The body works to cool itself by increasing the heart rate, metabolism, and amount of calories burned. Relaxation- While typical saunas have extreme temperatures which can be hard to take, an infrared sauna is gentle and soothing. The sauna is clean and comfortable with music, and air purifier, and colored light therapy. Each color of lights has a unique wave length that impacts our minds and bodies differently. Reduce blood pressure: In a 2005 clinical study by the University of Missouri Kansas City, infrared heaters were shown to lower blood pressure through a program of 30 minute infrared sauna session 3 times per week. The study concluded that infrared sauna therapy dilated blood vessels and reduced the volume of their inner lining, thus increasing circulation to promote healthy blood pressure. Detoxification- Infrared saunas create a truly deep, productive sweat where toxins reside, at the cellular level. Wound healing- Scientific research has concluded that near infrared therapy greatly enhances the skin’s healing process by promoting faster cell regeneration and human tissue growth. Human cell growth increases to repair wounds and prevent infection. These are some of the key benefits of infrared sauna use, however ongoing research may still uncover additional benefits. Infrared sessions at Massage by Shaunda are $15 for a singles session, buy ten or more and they are $10 a session. This is nearly half of what many infrared sauna spas charge. It's smart to be armed with an arsenal of weapons for healing, and a skilled acupuncturist can be a great asset to your health. I have had many acupuncture treatments. Some of them were traditional- the needles were hand placed then topped with lit mugwort. Other sessions I experienced blended the ancient with the contemporary. There were scrubs worn, tools to insert the needles, sterile clinic rooms and mood music straight from a Tokyo lounge. You may be thinking- "I don't care if they wear a banana suit and juggle monkeys as long as it relieves my pain!" You are wondering if acupuncture is effective, and you may be wondering if it hurts. These are common questions that I'd like to answer from the knowledge bank of my personal experience. Does it hurt? I've experienced a brief "zing" once or twice, but that is the extent of the pain that I personally have felt. Usually I don't feel the needle placement at all. Is it effective? Definitely. Maybe not for every condition every time, but what medical treatment is? I am positive the success ratio of this kind of treatment is superior to that of typical western medicine. I once had a muscle injury in my forearm. There was a golf ball sized swelling midway between my wrist and elbow. When I pressed down on my palms it felt like the muscle was being stripped from the bone and left a lingering ache in my elbow. I was even contemplating canceling sessions with my clients that day. This is something I almost NEVER do. Certain devout sects do in fact consider it borderline indicative of the apocalypse. I knew the minute I saw the injury that it needed acupuncture, and sure enough the treatment stopped the pain and reduced the size of the swelling by 50% that day. By the end of the week it was almost completely normal. What are acupuncturists like? I have yet to meet an acupuncturist that chose this field for the money, fame or glory. They aren't in league with insurance companies, drug companies, or the smarmy guys who lobby in DC to make sure health care legislation is written "the right way." Acupuncturists are typically caring individuals who provide a treatment that promotes and accelerates healing without the synthetic drugs, the invasive procedures, and the hefty cost we associate with western medicine. I recommend Dr. Curtis Webb. His website is below. How Can Reflexology Help You??? Probably more than you know! This ancient form of treatment helps bring our bodies into balance. In the last two weeks I've seen a woman diagnosed with hypothyroidism experience increased metabolism and weight loss which she attributes largely to reflexology. I've seen another client experience improved fluid balance in her body after just one treatment. Before we all became so civilized we walked barefoot and our feet came into contact with rocks, sand, and earth - each of which helped us get a "treatment" just from walking around! Our bodies are designed to maintain and heal themselves. Reflexology is one such example.